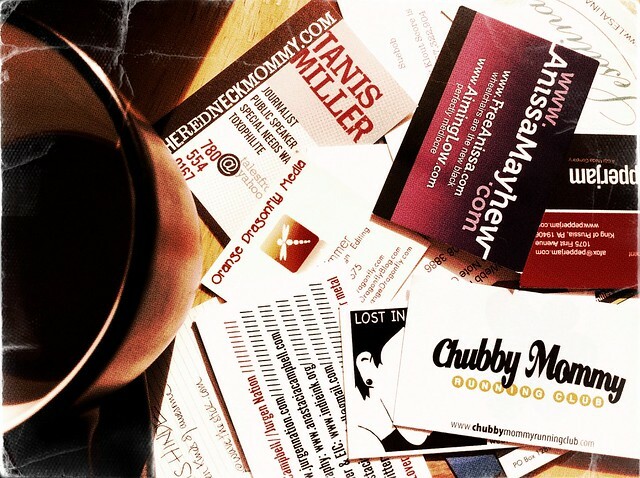 I swear that I was given more business cards than this over the course of BlogHer '11, because I saw hundreds of you there. I think my hotel bed ate them. If we met at BlogHer, and I didn't get your card, or I apparently lost it to the hotel laundry, throw out your name and url in the comments!